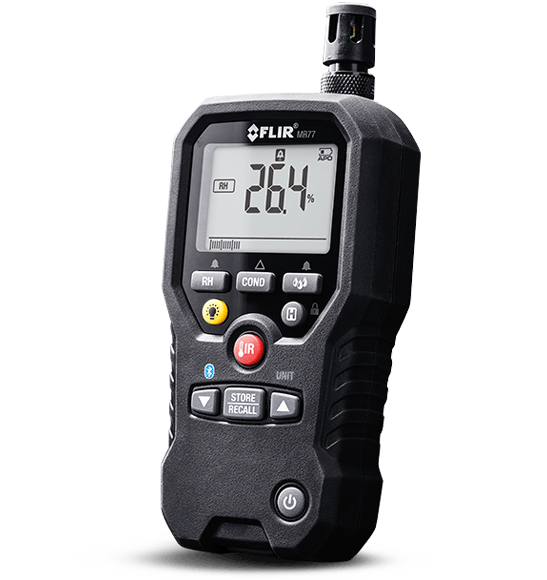 The FLIR MR77 Moisture Meter performs all the critical and advanced measurements you demand for moisture remediation or HVAC and includes Bluetooth wireless capability. Equipped with a pinless moisture sensor and pin probe, a temperature and relative humidity sensor, and an IR thermometer, the MR77 has everything you need in one convenient tool. Built rugged with field-replaceable sensors, the MR77 is engineered to reduce downtime and help you get more done in less time.